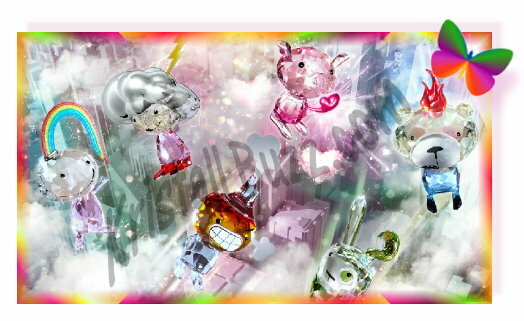 Swarovski News: Lovlots Emotis are Available at the Swarovski Shoppe! Almost one month ago exactly, I wrote a post about the newest Lovlots clould community that was soon to be released…. Swarovski Emotis. Today, I got an email from Swarovski, (in German!) that the crystal giant has them available in their online store! All the Lovlots Emotis have an MSRP of $90 each. Personally, I’m not too fond of these, but who knows…there may be a segment of the Swarovski-collecting population that does. And we may find a whole new world of emotions that we never even knew existed, that is…. until the Swarovski Lovlots Emotis came along! Swarovski recently released the list of crystal figurines that will retire in the first half of 2012. Over 40 Swarovski figurines are slated to be officially discontinued beginning January through June of this year. With this Swarovski news, the popular website, RetiredSwarovski.com has now posted the complete list in the Swarovski Retiring Soon section of the web site. 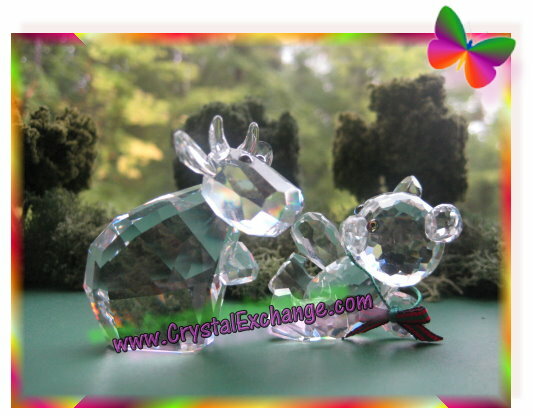 This page of the web site includes links to the crystal figurines in the Swarovski shoppe to make shopping easy for collectors. Some of the retirements are no longer available from the online shoppe. I was surprised to see many of the Swarovski Lovlots Circus figurines in the list, as they only launched about 1 year ago. 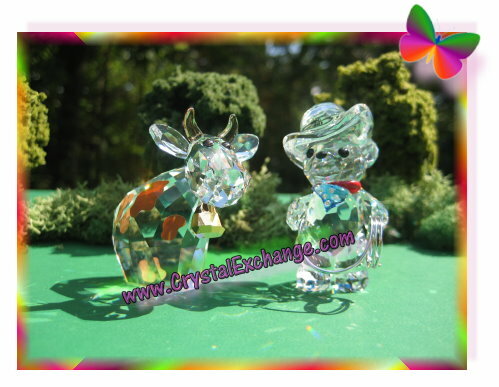 A couple of the Swarovski figurines retiring have colored versions that are replacing them. This seems to be a new way to re-introduce figurines. 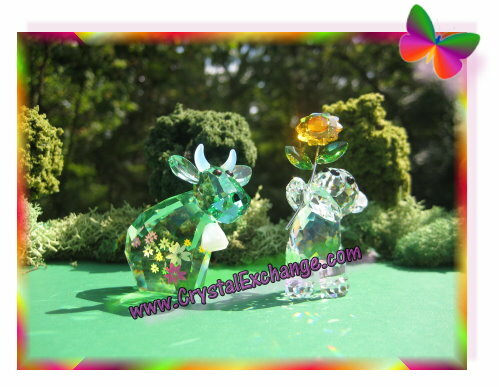 Kristall Buzz featured an article about this trend on Swarovski Clear Crystal Figurines in February, 2011. Swarovski Mandarin Ducks – Clear: 2006 through 2012; Topaz: introduced in 2010 and still current in 2012. 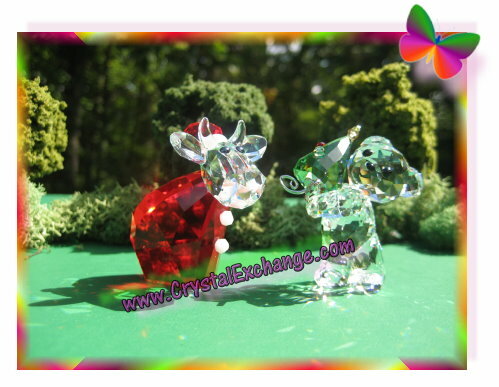 Swarovski Tortoises, Baby (Set of 2) – Clear: 1998 through 2012; Golden Shadow: introduced in 2012. If any of the 2012 retirements are on your wish list, get them before they become too hard to find, and a premium price must be paid to obtain them! CrystalExhange.com has a huge list of retired Swarovski figurines, so crystal collectors should check out this site if the desired figurine is no longer available on-line or in stores. Recently, I wrote about a video on YouTube featuring the limited edition cat Theo from the collection, Lovlots House of Cats. In the article about Globetrotter Theo, I briefly mentioned the residents in the Lovlots House of Cats collection. While this article is also about the Lovlots House of Cats, the focus is really about the Park Hills district of Lovlots City, and the individual cat characters that live there. 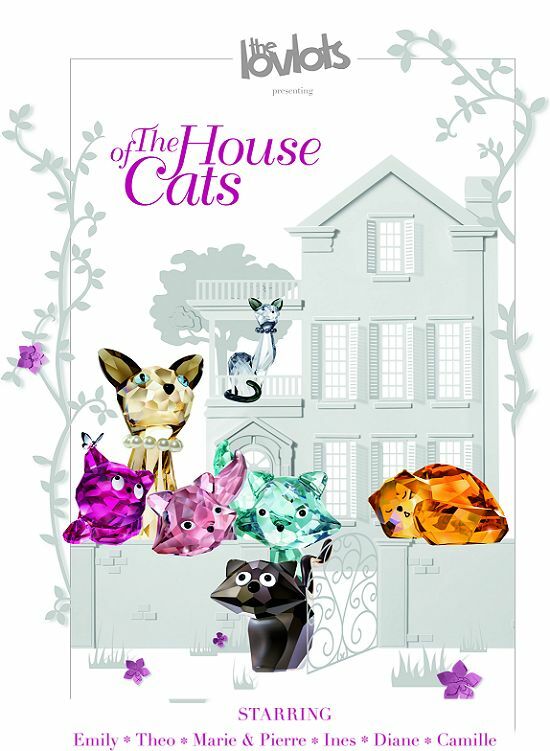 Swarovski also has small quips about each of the House of Cats figurines…. Some of these Swarovski Lovlots cats are actually family. From what I have seen, Marie & Pierre are the parents of Emily and Theo. Diane and Ines are sisters. It is not clear if Camille is related to either family. The crystal brand has a brief Lovlots House of Cats video on their website. Be sure and check it out as the kitty quips and adorable feline personalities shine through in the video. Many of the Lovlots House of Cats crystal figurines have retired or are retiring in 2011. Some are still available at the crystal brand’s website. If you miss the opportunity to purchase from them or an authorized retailer, check out the Swarovski Lovlots category of the www.crystalexchange.com web site. Swarovski has produced and uploaded a video to YouTube about the Lovlots Theo traveling the globe. The video shows Lovlots Theo (not to be confused with Theo the Turtle) at various locations in SouthEast Asia. Swarovski Diane – 988017, retires in 2011. Pale chocolate cat modeling her strand of pearls designed by Edith Mair. Swarovski Emily – 995045. Fashion fuschia feline, with a butterfly resting on her ear, designed by Peter Heidegger. Swarovski Marie and Pierre – 995011, retires in 2011. Pale blue and pale burgundy pair of romancing kitties designed by Edith Mair. Swarovski Ines – 995008. Soft seal cat, decorated with a choker, designed by Edith Mair. Swarovski Camille – 995006, retires in 2011. A sleeping bronze cat designed by Stefanie Nederegger. Like any manufacturer, Swarovski is about promoting new and current products. I’m a bit confused as to their selection of figurines for this video… a retired black cat. Perhaps because Theo photographed well (taking good pictures of crystal can be tricky!)? Perhaps they are planning to introduce a bigger Theo? Only Swarovski knows the answer to this question. Toward the end of the video, they mention taking pictures of Theo on his journey around the world and posting them to Facebook for a prize. So there is some kind of Swarovski Theo Competition on the horizon, but I was not able to locate any further information on the subject. If you are planning to participate in the Swarovski Theo Contest, and do not have this Limited Edition Lovlots figurine in your collection, you can find Swarovski Theo at www.crystalexchange.com . Simply use the search feature and type in “Theo” (without quotes). Be sure to purchase the limited edition cat as I don’t believe Swarovski wants to see the Theo the Tortoise in photograph submissions!